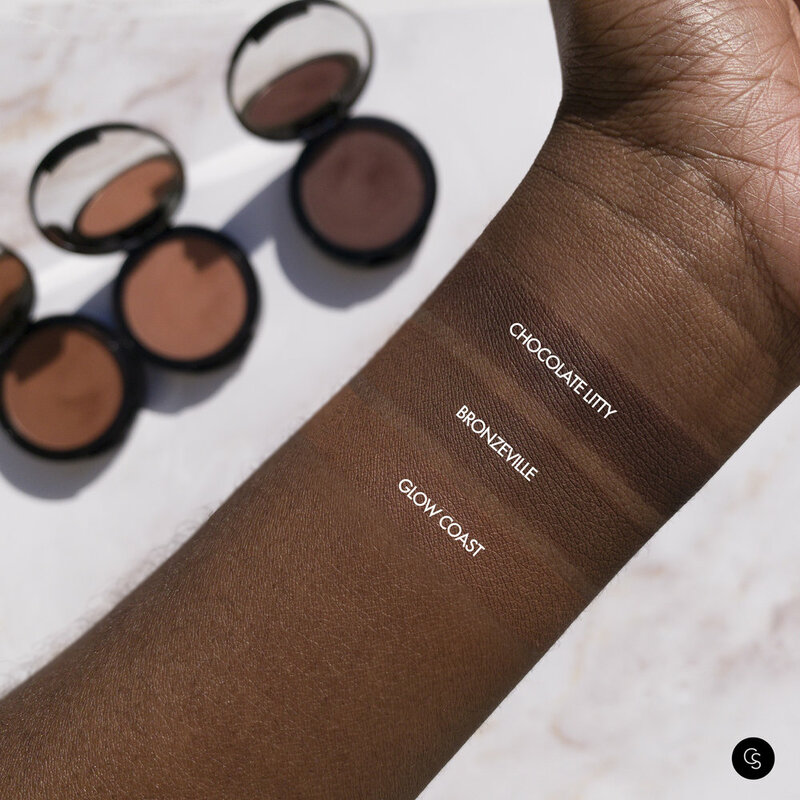 The Brownzers are highly pigmented bronzers with buildable coverage and a matte finish. Glow Coast - a light brown matte bronzer. Bronzeville - a medium brown matte bronzer. Chocolate Litty - a deep brown matte bronzer. Get the "Brownzer" Bronzers for $21 each!